Depending on the specific nature and source of your pain, a variety of interventional pain procedures may be considered. These procedures most typically utilize x-ray guidance (fluoroscopy) and/or ultrasound and may include injections of medications into muscles, joints, specific peripheral nerves and the spine. Radiofrequency nerve ablation may also be considered for certain pain conditions. You may learn more about interventional procedures by reviewing the drop down menu below. SEPA Pain Management has decades of experience with injection therapy for pain in all areas of the body. We would be delighted to meet with you and discuss the options for extended pain relief. Request an appointment online or call (855) 235-PAIN today. Epidural injections are used for managing pain in the spine when other treatments have failed. If you have tried taking over-the-counter pain medication and anti-inflammatory medication, there may come a point when you need something stronger, especially if you need longer lasting pain relief. An epidural injection might be the solution. Epidural injections are given for pain originating in the cervical spine (neck), thoracic spine (upper/mid back), and lumbar spine (low back). Similar to a cortisone injection for joint pain, an epidural injection delivers anesthetic and steroid medicine to treat spinal pain directly. The anesthetic provides immediate pain relief by numbing the injection site on your back, and the steroid reduces inflammation at the source of your pain. Results vary for every individual, but you can expect several weeks or months of relief from pain associated with a variety of conditions including herniated discs, spinal stenosis and arthritis, which can cause pain to radiate into the shoulders, arms, hands, ribs, hips, legs and feet. Epidural injections can be repeated for extended relief and in some cases, epidural injections can help you avoid or postpone spine surgery. An epidural injection is a quick outpatient procedure that can be given in the office or surgical center when sedation is requested. A needle is injected into the epidural space in your spine under X-ray guidance. The medication is injected, and the needle is removed. You may experience temporary discomfort at the injection site when the anesthetic wears off, but the medication will work quickly to provide substantial pain relief within a few days of the injection. Visit our patient education library to learn more about cervical epidural injections, thoracic epidural injections, and lumbar epidural injections. To find out if an epidural injection is right for you, consider making an appointment with the experts at SEPA Pain Management. A trigger point is a localized area of muscle spasm and inflammation, often in the neck or lower back, which can cause discrete or broader areas of pain, may contribute to headaches and often reduce your range of motion and your ability to have normal activity. These areas are often felt as a “knot” of muscle and may be associated with conditions such as trauma, pinched nerves, overexertion, fibromyalgia, hormonal deficiencies and myofascial syndromes. Trigger point injections are minimally invasive injections of local anesthetic, with or without steroid, which is routinely performed in an office setting. To find out if trigger point injections can help reduce your pain, consider making an appointment with the experts at SEPA Pain Management. Spinal facet joint injections are small joints at each segment of the spine that impact your range of motion and help provide stability. These joints may be the source of neck or back pain when the cartilage within the joints become inflamed or arthritic. Facet injections are a minimally invasive procedure, typically using local anesthetic with or without steroid, which are performed as an outpatient to help diagnose and treat facet joint mediated pain. To find out if facet injections can help reduce your pain, consider making an appointment with the experts at SEPA Pain Management. Radiofrequency procedures, sometimes referred to as a rhizotomy or neurotomy procedure, is a minimally invasive procedure that utilizes electrical current produced by a radio wave to heat up a precise area of nerve tissue to help reduce pain, often for many months, or even years. These procedures are commonly performed on spinal nerves, but may also be effective for certain peripheral nerve pain and joint pain conditions. To find out if a radiofrequency procedure can help reduce your pain, consider making an appointment with the experts at SEPA Pain Management. A sympathetic block can be used to help diagnose and treat pain emanating from the sympathetic nervous system. Some conditions for which sympathetic blocks have proven benefit include chronic regional pain syndrome (CRPS, formerly RSD) and post-herpetic neuralgia. Sympathetic blocks are minimally invasive procedures performed as an outpatient. In some cases sympathetic blocks may be associated with decreased blood pressure and for this reason an IV may be requested by your provider to allow for administration of fluid and possibly medications to help maintain blood pressure. The area of your pain will determine the location of the injection. Injections for pain in the upper body are typically performed in the neck and referred to as a stellate ganglion block. Injections for pain in the lower area of the body are typically performed in the lumbar spine and are referred to as a lumbar sympathetic block. To find out if a sympathetic block can help reduce your pain, consider making an appointment with the experts at SEPA Pain Management. Arthritic conditions affecting major joints can cause significant pain, reduce range of motion in that joint and therefore limit your ability to enjoy normal activity. Joint injections are minimally invasive procedures that are typically performed in the outpatient setting under fluoroscopic or ultrasound guidance and utilize local anesthetic and steroids. These injections can provide significant relief for many months or longer and help get you back to your normal activities. To find out if a joint injection can help reduce your pain, consider making an appointment with the experts at SEPA Pain Management. A peripheral nerve block is a minimally invasive procedure that may help identify and treat the source of your pain. Conditions that may impact peripheral nerves include nerve compression, trauma, inflammation and ischemia (lack of blood flow). Occipital headaches and intercostal neuralgia causing rib pain are common conditions which may be treated with peripheral nerve blocks. 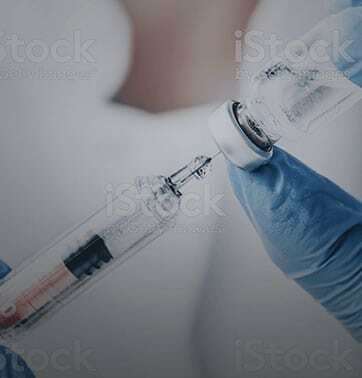 These blocks may be performed in the office or ambulatory surgery center setting and typically involve an injection using local anesthetic with or without steroid. The period of pain relief can be variable, but is often prolonged with a significant reduction in pain. To find out if a peripheral nerve block can help reduce your pain, consider making an appointment with the experts at SEPA Pain Management. Spinal Cord Stimulation (SCS) is a therapy that prevents pain signals from reaching the brain. This treatment option is generally reserved for patients that have been unable to control their pain with other pain management strategies or surgery. Failed back syndrome is amongst the more common conditions treated with this technology, but it has also been used to treat other types of pain due to nerve damage. The device itself is similar to a pacemaker and special wires known as “electrodes” are inserted into the spine through a needle using x-ray guidance. The needle is removed and the wires remain in place and attach to a generator (a small battery) that produces electrical stimulation that interrupts the pain signal. Patients typically must initially undergo a trial period of several days to determine if they are an appropriate candidate. During this trial period removable temporary electrodes and external generators are utilized. If the trial is deemed successful, you will be referred for implantation of a permanent spinal cord stimulator which remains under the skin and is most commonly performed through a needle and small incision by a pain specialist or neurosurgeon. Peripheral Nerve Stimulation (PNS) is similar to SCS in how it interrupts or modulates pain except that electrodes are placed along individual peripheral nerves instead of in the spinal column. The process for trialing and obtaining this technology is similar to that of SCS as noted above and may be useful in treating otherwise unmanageable pain associated with conditions such as CRPS (chronic regional pain syndrome), diabetic peripheral neuropathy, meralgia paresthetica, occipital, cluneal, intercostal and ilioinguinal neuralgias as well as certain painful back and neck conditions. To find out if SCS or PNS can help reduce your pain, consider making an appointment with the experts at SEPA Pain Management. An intrathecal pump is a medical device that delivers medications to the intrathecal space just outside the spinal cord. A reservoir or "pump" is implanted between the muscle and skin of the abdomen using a minimally invasive surgical procedure. A catheter is attached to the pump and is surgically directed into the intrathecal space. The pump is then programmed to deliver a variety of medications (dependent on the condition treated) that are delivered via the catheter at a dose determined with the help of your pain physician. The pump is easily programmable using a hand-held, non-invasive device. The pump is periodically refilled using a needle inserted through the skin directly into the reservoir using a technique not much different from having an IV placed to receive medications or fluids. Not everyone is a candidate for this kind of therapy, but patients who have otherwise failed conservative therapy, are dependent on large doses of pain medications and are not a candidate for curative or palliative surgery may be considered. Intrathecal pump therapy can help with the management of a number of chronic pain conditions such as cancer pain, chronic pancreatitis, reflex sympathetic dystrophy and failed back surgery syndrome. Intrathecal pump therapy can also help decrease muscle spasms and rigidity associated with cerebral palsy, multiple sclerosis and certain brain or spinal cord injuries. To find out if intrathecal pump therapy can help reduce your pain, consider making an appointment with the experts at SEPA Pain Management. MILD is a safe procedure that can help patients with spinal stenosis stand and walk for longer periods of time with less pain. This outpatient procedure is performed through a vary small incision, does not require general anesthesia, implants or stitches. Average improvement at one year follow up has shown a dramatic increase in patients' ability to stand or walk and more than a 50% reduction in pain. To find out if a MILD procedure can help reduce your pain, consider making an appointment with the experts at SEPA Pain Management. BOTOX is a synthetic chemical that may be used to block nerve pain and relax muscles. It has been effectively used to treat a variety of painful conditions including muscle spasticity, chronic neck pain, fibromyalgia, and tension and migraine headaches. To find out if BOTOX injections can help reduce your pain, consider making an appointment with the experts at SEPA Pain Management.